Aw, Pork! there has never been a more controversial food than this one, while many called it the other white meat, others believe Pork is extremely damaging to our organism, so, with this level of division between supporters and detractors, the only right conclusion is the one you can make after reading all the pros and cons related to Pork. If it suits your diet or not, is up to you to decide. Not so long ago a controversy erupted on the web when several trusted and recognize food and nutrition sites added Pork to their lists of healthy energy boosting foods, and it didn’t take long for critics and seriously concern people too poor in their two cents regarding that matter, and thus, the division began, with half of the people claiming Pork shouldn’t be on that list as it wasn’t safe to eat, while the other half claimed that Pork had a rightful place to be on the list, as it was, in fact, the kind of meat that provided the most energy. Let’s get down to basics, actually, let’s break Pork into pieces (no pun intended), the healthiest portions of pork, with the fewer amounts of fats and other risky components, are tenderloins, loin chops, and sirloin roast. 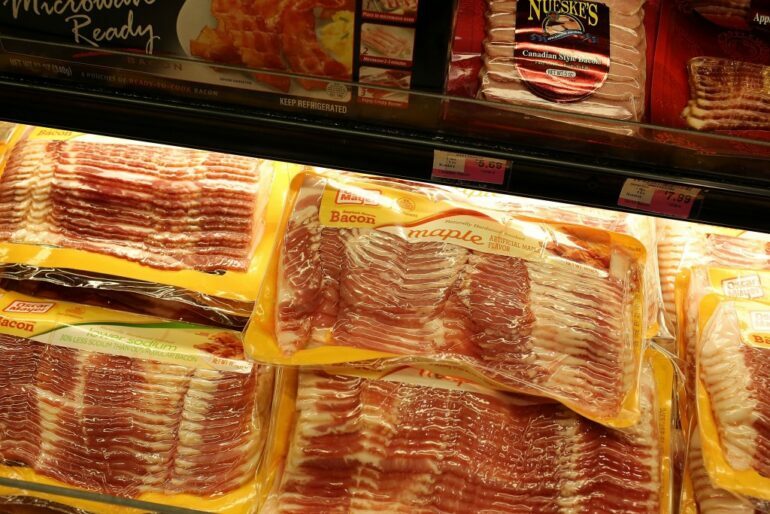 Anything other than that is filled with artery-clogging fats, extremely oversaturated, like bacon, as they are detrimental to your cholesterol levels you shouldn’t consume them on a daily basis, while the other cuts are very safe and healthy for you. Regarding the calories-fat ratio, right in the middle, you’ll find baked ham and lunch meat. But if you want to get technical, just like any other kind of meat, Pork will be safe as long as you cook it at the right temperatures, which, for pork, its 160F. Getting more technical, those lean and healthy Pork cuts which are low in fats, have higher contains of proteins, and B-Vitamins like thiamin, niacin, B6, and B12) than any other kind of meat, and in case you don’t know, those vitamins have a quintessential role in a wide variety of bodily functions like metabolism and energy production, and for that reason, you will always find it in lists regarding energy producing foods. In addition, Pork is an excellent source of Zinc and Selenium which are necessary anti-oxidants that keep our bodies healthy.